Just like a couple of other days this year, June 12th started off looking really great. All storm related parameters were super high but there was a great risk of all the storms firing at the same time, causing a big mess that would erode the entire day – just like May 26th last year. The season of 2017 has been really bad and many have experienced days like this turn into nothing. We tried to keep our hopes up but expectations low. We started the morning in Ft Collins, CO, and continued north towards Cheyenne, WY. 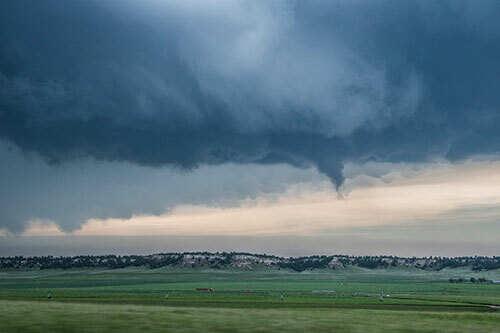 It did not take long until the storms started firing both in Colorado and north of Cheyenne. We followed a cell 30 minutes to our north but did not stay with it long when we saw the cells exploding close to Ft Collins, so we doubled back. We core punched the storm (thank you, hail shields) and finally reached the south end, only to notice some sort of dryline moving in from the south, threatening to kill the entire storm. At this point the northern storm had dropped a tornado and it felt like the day would be much shorter than we had anticipated. When David said “We have about 5-10 minutes before this dry air reaches our storm” it felt like the day would bust. Thankfully it didn’t – at all. 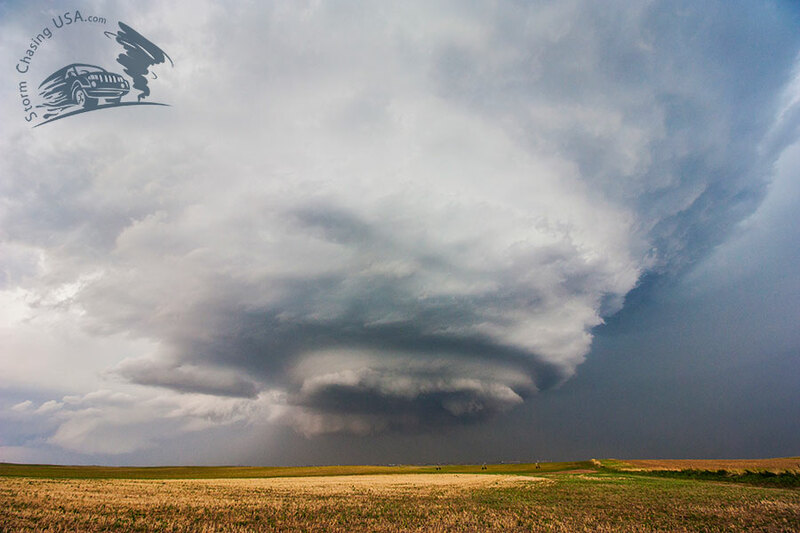 Instead the supercell started rotating quickly and became a monster. In fact, when it stopped some 6-7 hours later it had passed 4 states! 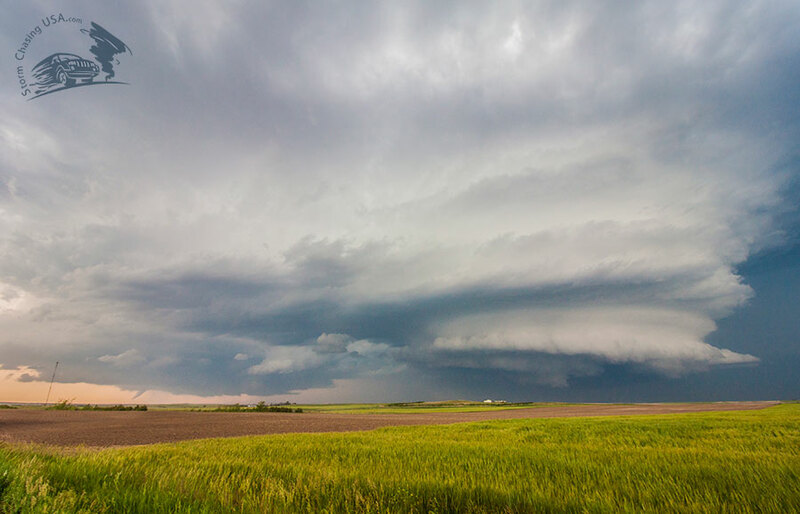 The supercell consistently had three separate meso-cyclones. Funny enough since we had been joking about the quote in the movie “Into the storm” when they are referencing a radar image with: “It’s got 5 or 6 hooks on it”. Our storm actually had three hooks on it! 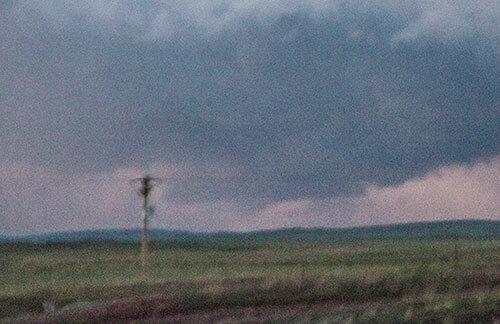 We chased the first meso which was the strongest but as it turned out, the best tornado came out of the last meso. It had the shape of an elephant trunk most of the time lasted about 15 minutes but we couldn’t really catch up with it since we had to drive on muddy roads. We got to see it’s beautiful rope out stage at about 5 miles. 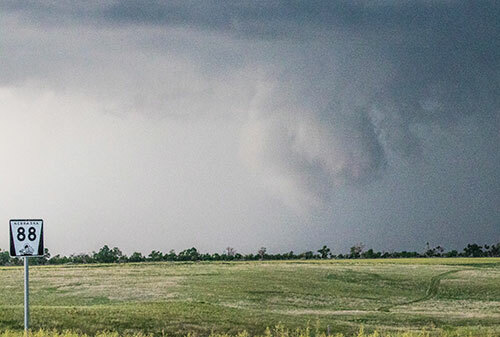 The second tornado was in the middle meso and did not last as long as the first. We still kept faith in the first meso which eventually produced a tornado almost in front of us. Unfortunately, the base was hidden by a hill. 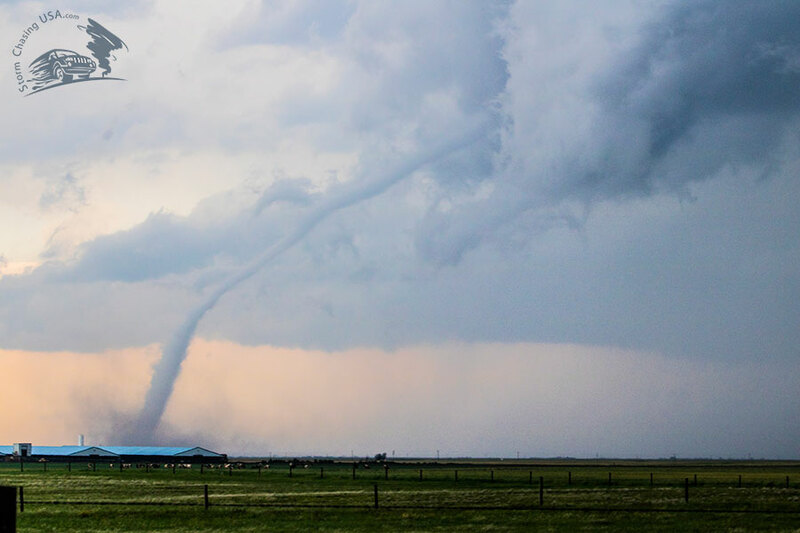 Apparently, this tornado destroyed a barn as can be seen in this incredible video by Scott Peake. If we had only been a few miles ahead! 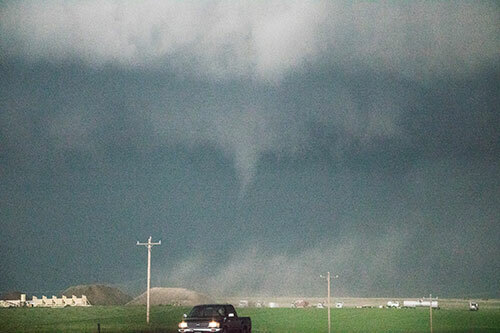 Instead, at the same time we saw an anti-cyclonic tornado very close (some 100-200 yards) to our right. It never fully condensed but was very nice to see up close. At this point it felt like there were tornadoes and funnels all over the place! 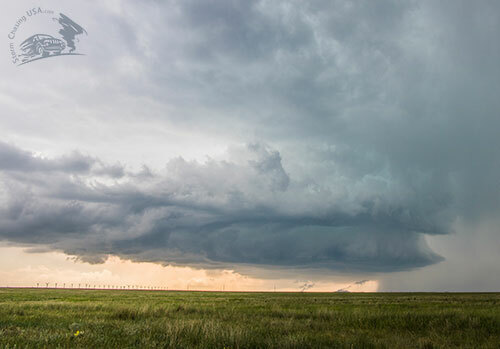 We continued to follow this supercell as it progressed north in the Nebraska panhandle. 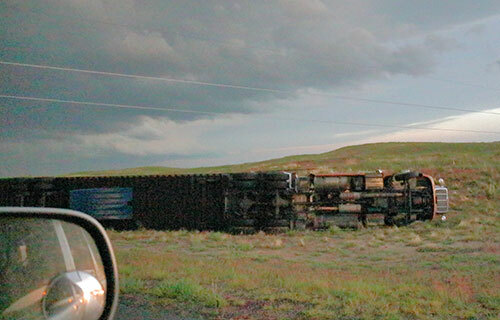 As the sun was setting we drove by a train and two semi-trucks that had been knocked down by, most likely, a tornado. 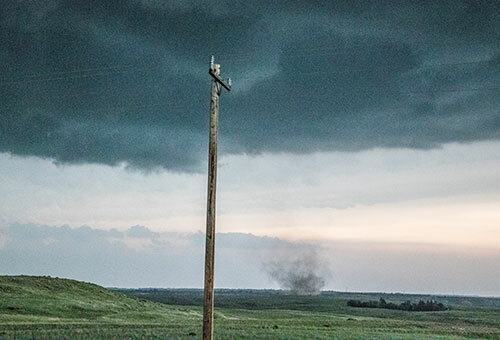 We continued to chase the supercell some time into the night and I believe we saw it tornado once more but I am not sure as the hills were obscuring our view much of the time. What a day! 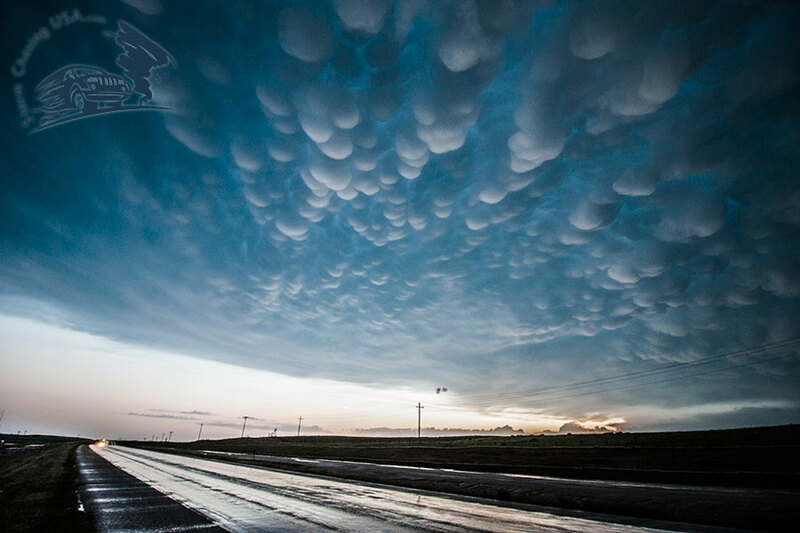 This was my second best chase day ever (after Dodge City last year). In the end we saw at least 7 tornadoes! The western storm out of the two southern targets of the day. We just stopped briefly to take a few photos. Look at the “funnel” under the base! Zoom-in on the funnel like-feature under the storm. I have no idea what this is. No tornado was reported from the storm at this time. 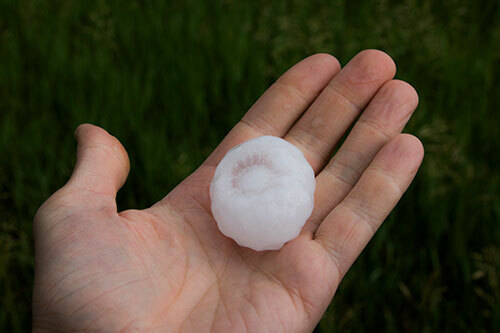 Even though we went actively chasing for hail some days during this trip, this is the largest hail we ever saw. The first, and best, tornado of the day. It had a really nice stove-pipe shape in the beginning. 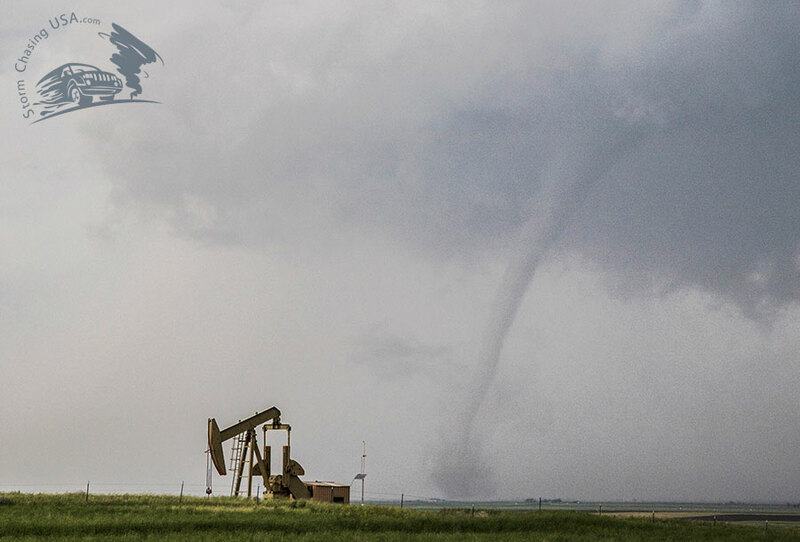 The tornado turned into a drill-bit and was very picturesque. At this point we were chasing the tornado on muddy roads and I had a hard time getting a clear shot to take photos. 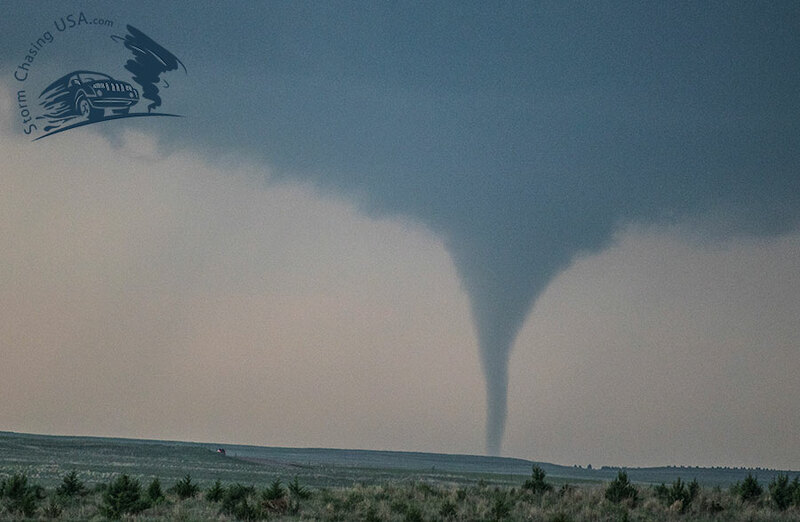 The tornado when we finally stopped to observe it. It had started roping out. It had at this point gone from Colorado into Wyoming. The funnel turned transparent in the last minutes of the rope out-stage. 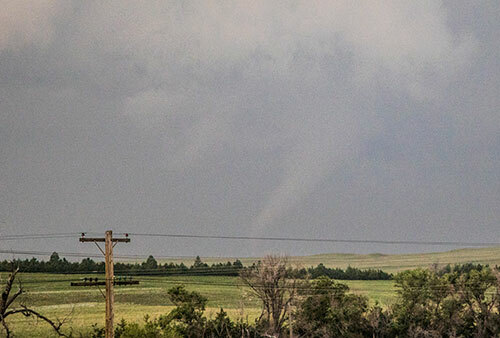 The second tornado of the day was nowhere near fully condensed. 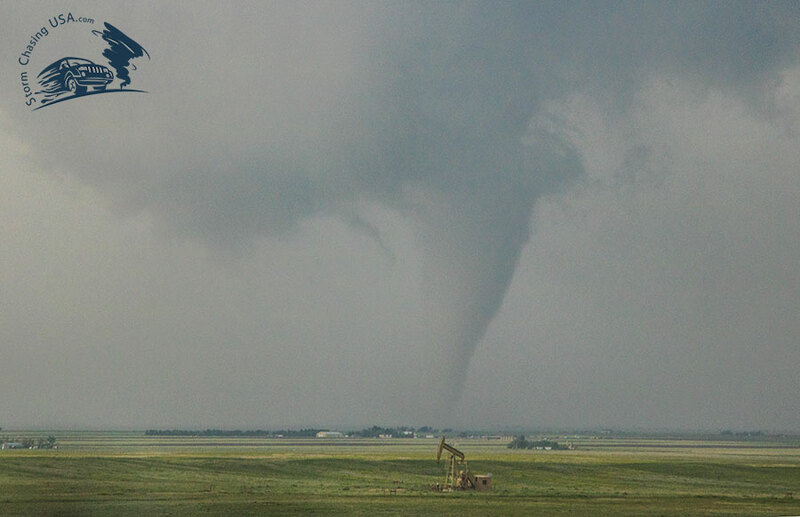 Some damage was reported from this tornado outside Pine Bluffs, CO.
One of the most peculiar things of this day, and my chase career in total. 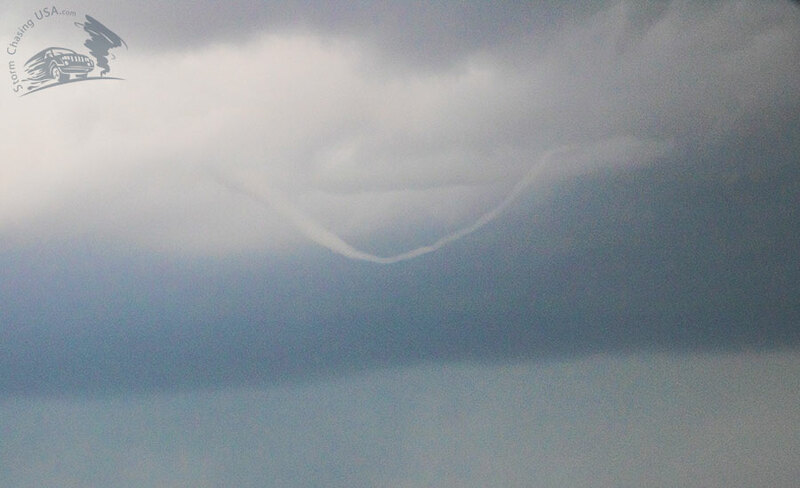 This started off as a funnel cloud and eventually started to get sucked into the updraft! The third tornado of the day was also from the last cell in the storm complex. We almost missed this one. It didn’t last long and we were quite far away. The third tornado at a later stage. 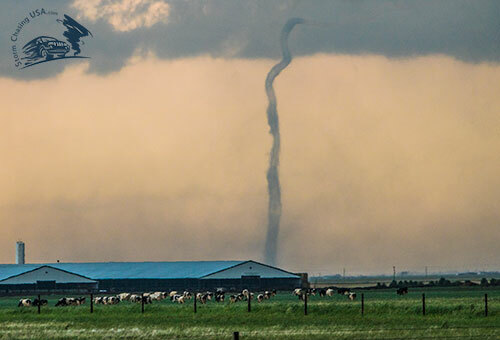 This magnificent day did not only offer tornadoes but also some amazing structure shots. One of the best photos I have ever taken. In it you can see the three updrafts of the storm with some amazing structure of the first meso, in the last, third, meso there is a tornado – the fourth one of the day! 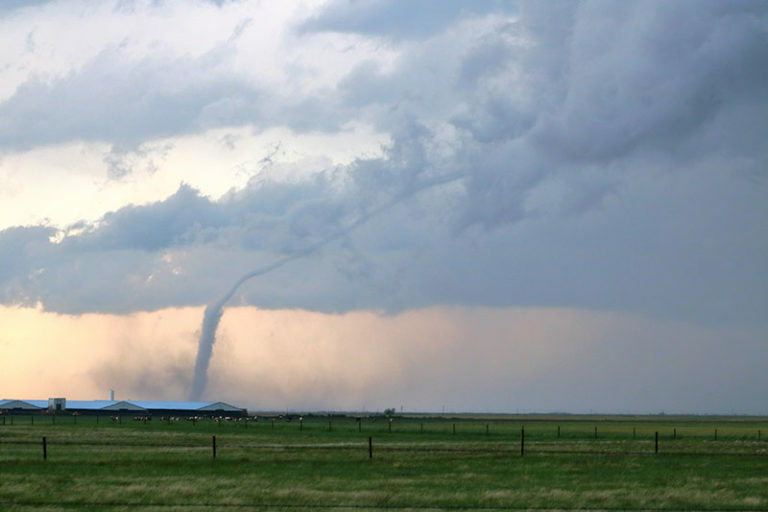 The fifth tornado as it destroyed a barn behind the ridge. The photo was taken while driving and is unfortunately quite blurry. The storm was now in Nebraska. 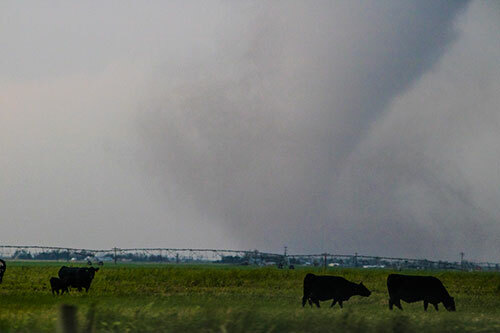 The sixth tornado of the day was the closest one. It was anti-cyclonic and fairly brief and never fully condensed. I have lost track of my photos as I did not edit them until a few weeks later. 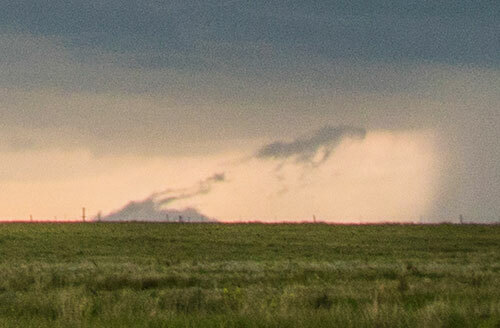 I don’t really remember if this lowering created a tornado or not. One of the most incredible things of the day. 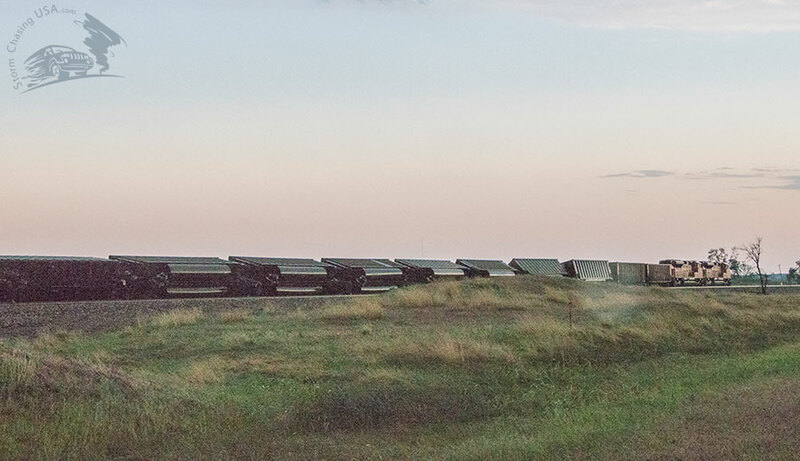 A tornado, or straight line winds, pushed an entire train of its tracks! Close to the train there were two trucks flipped on the side as well. I don’t know if this truck was thrown here or if it had parked outside of the road and then got flipped. Just before sunset this epic day was about to end with some amazing mammatus clouds. There was a (7th!) tornado reported from the storm at the time of this photo. We never saw the base of it as it was hidden behind a ridge. This is the best photo I got from it a bit later, at this point I don’t think it had a tornado though.